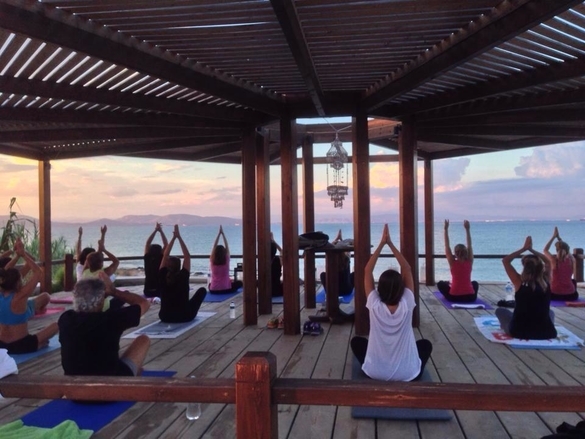 Doing Yoga at may be one of the most enjoyable and satisfying ways to feel close to nature. 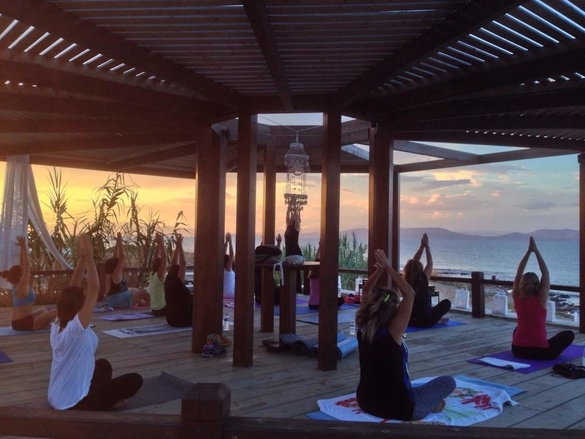 The comforting sound of the waves and the diffused light make yoga relaxing and rejuvenating, both in the morning and as the sun sets. 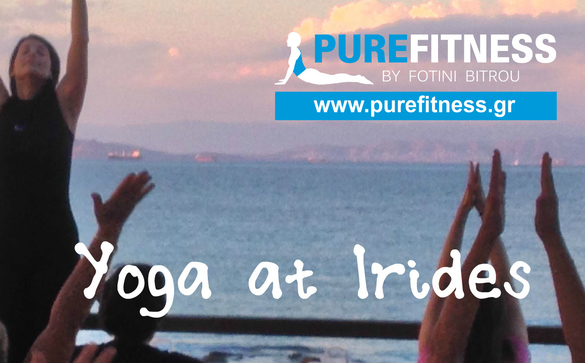 Over the past years the yoga lessons at Irides have been a great success. Each year sunset on pergola is both a beautiful sight and a wonderful feeling. 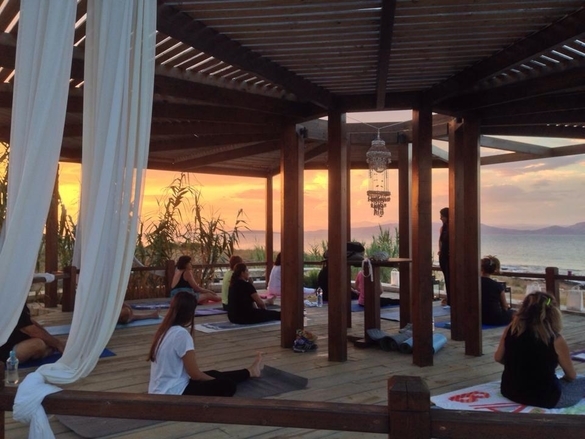 Each Friday at 19:30 and Saturday morning at 9:00 all summer we look forward to spending an hour of relaxation and serenity with you. 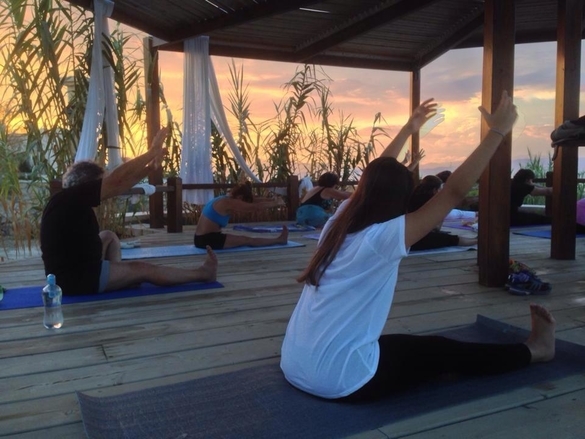 All you need is your yoga/gym outfit and yoga mat or swimsuit and a towel! We are ready to personalise a plan which will bring immediate results. Everyone needs their plan personalised based on their own life-style. The objective of the Personal Training plan is to help everyone, and especially those who live a very busy life, or even a sedentary one to be able to change their lives without great difficulty and effort. 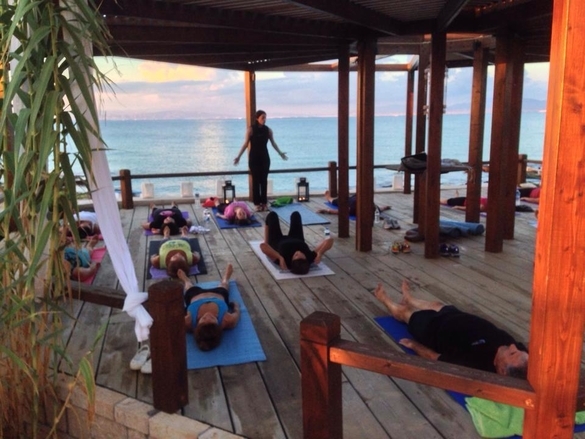 We look forward to meeting you to discus a fitness programme which will, along with our pleasant environment, inspire you to make your life so much better! If you are thinking “My child really needs to learn to swim properly, because the sea can be dangerous”, then come along to us so that we can make sure he/she begins correctly. Many parents want their children to become involved in athletics in some way or another, because they know that involvement in athletic activities helps children to grow up and develop their character in a healthy environment. Because they are so young, their training programmes are particularly important as well as the goals they are set. Unfortunately in most cases there are no special knowledge informing the choice of athletics and how to judge the training methods. Swimming is one branch of athletics which is a good way to create a basis for the child’s proper development, to find and cultivate his/her own talents. Each year for the past 17 years I have taught 50 – 70 children how to swim each summer– in all I have taught around 1,000 children. Swimming should start at a very young age. Our summer classes are for children – girls and boys aged between 3 years old to 15 years old. For children under 3 years of age, there are special lessons. If you would like your child to learn how to swim in all the styles, even the basics of life saving (advanced level), all you have to do is to book a place.